A gorgeous reminder to never lose sight of what's most important to you. 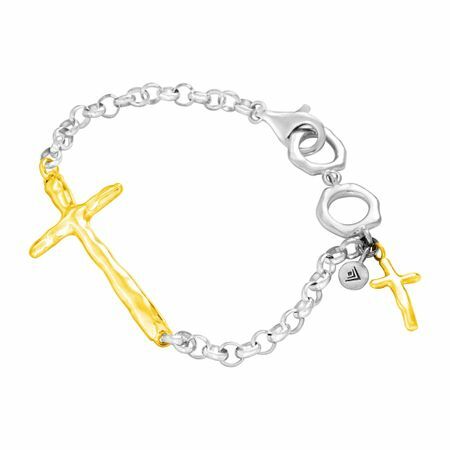 This golden rendition of the In Good Faith Bracelet features an artistic 14K gold-plated sterling silver cross set on a bold rolo chain. A smaller gold-plated cross dangles at one end. Gift one to a cherished friend and treat yourself to a second. Bracelet measures 8 1/4 inches in length and features a lobster clasp. Piece comes with a “.925” sterling silver quality stamp as a symbol of guaranteed product quality.